Rising from the ashes of Mika Miko, the Clavin sisters flew under the radar, building Bleached on a core of girl-group harmonies and guitar fuzz. Not sure if there’s ever been a Bleached show that didn’t include a Ramones cover, and the key to Ride Your Heart is how they boiled down their frantic live shows to suit a studio record by finding an intersection between the Wall Of Sound and the graceful throttle of Wild Gift era X. 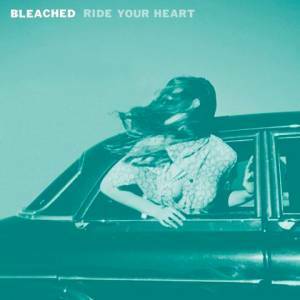 Here in California, things are already blooming, and Ride Your Heart is not only a hell of a coming out party for Bleached, it’s the soundtrack of summer nights.